Sarah started working in the fitness industry in 2013 after completing her EQF Level 4 in Fitness Instruction and Personal Training. She joined SDSC in 2014 and has since competed at National and International levels in powerlifting, placing top 3. 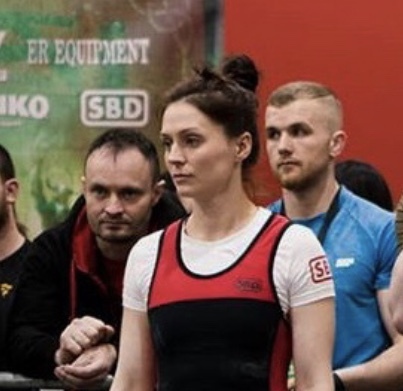 She has completed the UKSCA Foundation in Strength and Conditioning course and also attended nutrition and training seminars with Bret Contreras, James Kreiger, Alan Aragon and Brad Schoenfeld. When she is not powerlifting she likes to complement her training with yoga and cycling. How hard should you go?